Battle like a Jedi general when you've got this Star Wars Clone Wars Plo Koon Lightsaber in your arsenal! 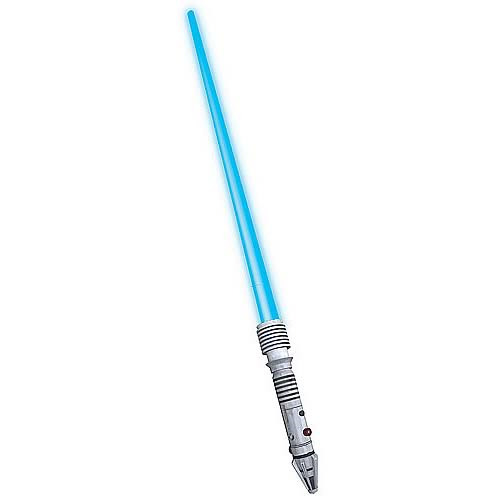 Modeled after the lightsaber Plo Koon uses in the animated TV series Star Wars: The Clone Wars, this Plo Koon lightsaber actually lights up and features a handle specific to the TV show. The Star Wars Clone Wars Plo Koon lightsaber measures over 3-feet long. Requires 2x "AA" batteries, not included. AGes 4 and up.